Titanfall 2 sales may not be great, but boosters can nevertheless take a little bit of heart in the 2016 Game Awards nominees released today. Respawn's shooter was one of the five games nominated for the show's Game of the Year category, with DOOM, Inside, Overwatch, and Uncharted 4 also getting nods. Conspicuously absent: Battlefield 1, which many fans feel received the bulk of its attention at the expense of Titanfall 2. 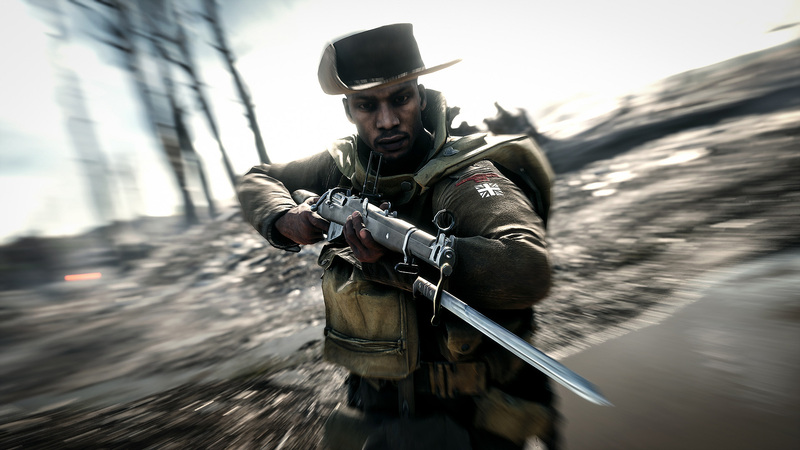 Battlefield 1 did, however, receive nominations in a number of other categories. While shooters dominate the top category, plenty of worthy games will get their chance to shine. Fire Emblem Fates, Dishonored 2, Stardew Valley, The Witness, Firewatch, and Rez Infinite have all received nominations in at least one category. This is fairly standard practice for The Game Awards, which tends to reserve the top category for triple-A releases (and a token indie) while highlighting lesser-known games elsewhere. Still, even by that standard, Titanfall 2's nomination speaks to the power of word-of-mouth. It may just be a moral victory, though. Overwatch should be the prohibitive favorite to win Game of the Year after taking 2016 by storm. Blizzard's shooter received nominations in six categories, including Game of the Year, Best eSports Game, and Best Multiplayer Game. The Game Awards will be held on Thursday, December 1 at 6pm PT. Check out the full nominations below. It’s been many years since Queen Elizabeth’s mother was tried for being a witch. Now, an unknown foe is accusing her of the same! Can you, her trusted companion, clear her name and save the kingdom before it’s too late? Find out in this riveting Hidden-Object Puzzle adventure! Mad Head Games proudly present the newest addition to the Rite of Passage series! When your wife went missing, you thought there was no hope. That is until you were sent a mysterious invitation promising you answers. Can you find the truth and save yourself before sunrise? Find out in this riveting Hidden-Object puzzle adventure! You’re signing copies of your latest bestseller when a mysterious man offers you the opportunity of a lifetime – you can write a famous billionaire’s life story, but only if you can beat four of the country’s top writers. Everything seems great until one writer drops dead. Explore Mr. Welles’s huge estate, interview suspects, and gather clues before you become the next victim in this intriguing hidden-object puzzle adventure game! For years, the sailors and pirates of the Lost Lands have been talking about a ghostly ship sailing in the heart of a storm. Rumors spread about the ship’s captain, a huge octopus that travels with the ship, a Yarl’s curse, and an evil sorceress! It's time for her to return to the Lost Lands! The best Clutter yet by far. With Leigh's Story, the Clutter series has risen to a whole new level with a compelling story that follows all the hidden object fun. There is truly something here for everyone. All your old favorites are back as well and there are more Clutter 100 levels in Leigh's Story than ever before. When Emily finds a message in a bottle from her younger self, her past and present collide into an all-new heartwarming adventure! With lovable new characters and tons of time management levels, you simply can't miss Delicious: Emily's Message in a Bottle Collector's Edition! A couple of ghosts, feeling the call of the sea, decided to go on adventure. Unfortunately, a violent storm tore their ship apart and sunk it. The mainland is within visible distance, but how will they get back? Can they build a new ship? Will you be able to help them out in such a hard task?